Bass Rock in the Firth Of Forth sticks out of the water with sheer cliffs all around. From a distance the top of the rock looks white. It's white with the density of gannets that call it home during the breeding season. 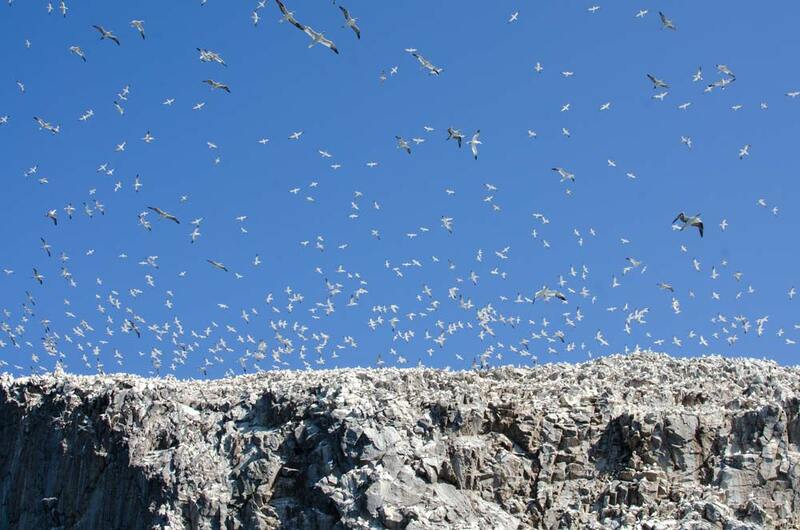 At 150,000 birds, it's the largest colony of Northern Gannets in the world. 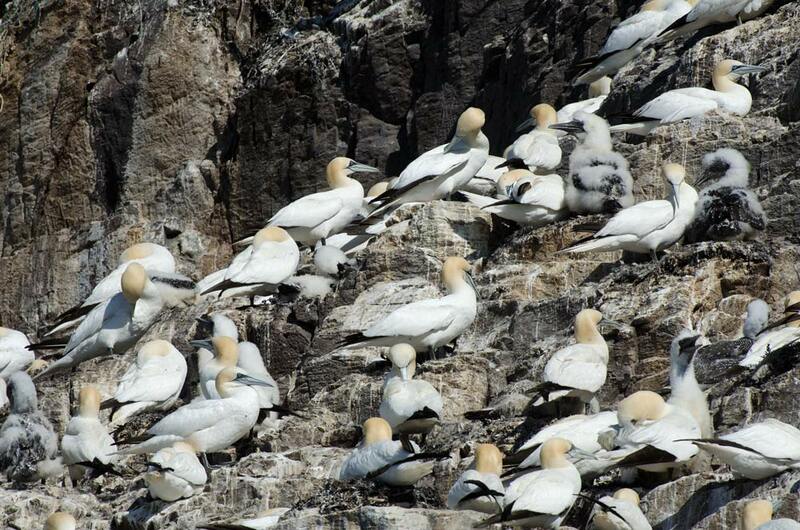 It has grown year on year but looking back to earlier in the 20th century there were no gannets. The top of the rock was green - the green of meadows and planted fields. The produce from them helped to support a small population of lighthouse keepers and their families. The lighthouse is still in use but since 1988 it has been run by remote control. The Commissioners of the Northern Lighthouse Board monitor it from their headquarters in Edinburgh. 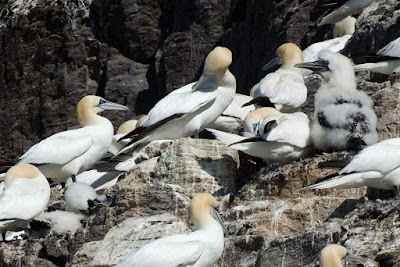 With the human disturbance gone the gannets claimed the rock as their own. And once established, the breeding pairs return year after year. The Scottish Seabird Centre run trips to Bass Rock. Landings depend on the weather and you need to be fit. I and eleven others were in an inflatable RIB, having just visited the Isle Of May. On the way back to North Berwick we idled in the waters for a while. We didn't land but we did see gannets. 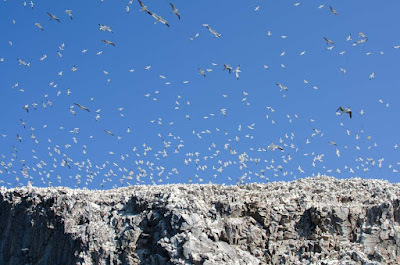 I was truly staggered with the sheer numbers overhead. It was amazing - one of those times when my head stops and I know I am enjoying something so deep that it clears the fog. That's when I took these shots.